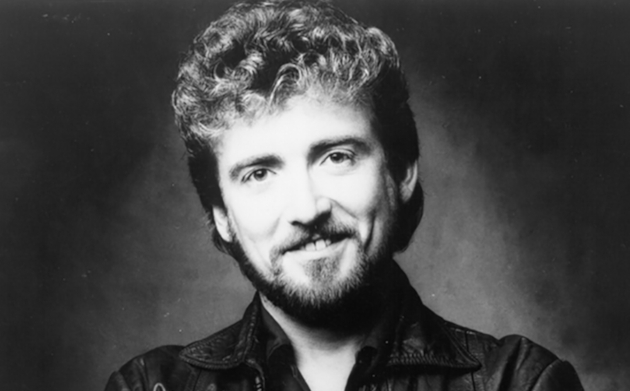 Keith Whitley is gone, but he will not be forgotten. And the legacy he left behind during his short and troubled life still reverberates throughout country music today, and constitutes a legacy that is nothing short of legendary. This is one of the reasons the Country Music Hall of Fame in Nashville chose to commission a special exhibit on the Kentucky native’s contributions to country, which is set to open on May 3rd. And now a big tribute concert is also being organized in Whitley’s honor to coincide with the new Hall of Fame exhibit, and the 30th Anniversary of Keith Whitley’s passing on May 9th, 1989. The All-Star tribute concert is set for Tuesday, May 9th at the Hall of Fame’s CMA Theater. Garth Brooks is set to perform, who upon his induction to the Hall of Fame in 2012 commented that he believed Whitley should have gone in before him. Also performing are Trisha Yearwood, Mark Chesnutt, “Murder on Music Row” writer Larry Cordle, Caleb Daugherty, Kevin Denney, Tom Buller, Wesley Dennis, Joe Diffie, Corey Farlow, Carl Jackson, Cory and Dustin Keefe, Tracy Lawrence, Mark Wills, Darryl Worley, and Jesse Keith Whitley, who is helping to organize the event with his mother and Keith Whitley’s widow, Lorrie Morgan. Lorrie Morgan has been a strong advocate for the legacy of Keith Whitley over the years, and Whitley’s name has been rumored to be in strong contention for Hall of Fame induction in the Modern Era category, which could happen in the coming years. The Hall of Fame featuring Whitley in both an exhibit and a tribute concert is a good sign for advocates of the late singer. Keith Whitley started in country music as a member of Ralph Stanley’s bluegrass band. In 1988, Whitley had two #1 singles “When You Say Nothing At All” and “I’m No Stranger to the Rain” off the album Don’t Close Your Eyes, and was expected to become a superstar in country music in the coming years. He was just three weeks away from being invited to be a member of the Grand Ole Opry, and was riding the “Class of ’89” wave that was bringing country music to new heights when he died at 33-years-old from alcohol poisoning. Tickets for the tribute show go on sale Friday, March 29 at 10 a.m. Central at cmatheater.com. Love Wesley Dennis and Kevin Denney, rumored had it Wesley was releasing an album last year but nothing came of it. I am surprised Ken Mellons isn’t on the card. Sounds like it will be a great show. These are the guys who should be played on country radio. Welcome news. “I fought with the devil, got down on his level, but I never gave in so he gave up on me” is both an accurate description of several years of my life and the watchwords that got me through them. I always loved those lines too. You don’t hear much like them anymore. you sure don’t, sir adam …and for my money , at is THE biggest problem with the genre….even bigger than the fact that nobody can sing . the best vocalists in recent years ( ronnie dunn , josh turner , easton corbin , joe nichols) can’t get the time of day from mainstream . and that is OUR loss as fans of great lyrics and great voices. Sounds like the kind of songwriter who when he gets a call from his publisher at the end of the day saying “We need a song for So-and-So–Do you have one?,” he answers “Yes” and then goes and writes it and brings it in the next morning. Yes, big opportunity for Tom. His record was the biggest discovery last year around these parts. His albums should be required listening for every new artist signed in Nashville, to be honest. Really? I think bad R&B should be. Is that how MM got her game? Hands down the greatest of all time as far as I’m concerned! And I also wished Ken Mellon’s should be on the card. Any tribute to Keith is well deserved! I have been fortunate enough to attend the last three tribute concerts at the Nashville Palace. I used to attend the Labor Day get together at Keith’s old house in Sandy Hook(Keith’s mom was the greatest!!). I am really hoping the inclusion of Garth and Tricia for the concert doesn’t result in me to get shut out for a ticket. I believe that Wesley Dennis is the best living traditional country singer alive today. I will also really miss Ken Mellon’s and was hoping Davis Daniel would also be included. I am not complaining, but always wonder why Ricky Skaggs never participates in any of Keith’s tributes. Would also love to see the inclusion of members of his Miami Band. Randy Hayes is the only member who ever attends such tributes. I know Carson Chamberlain and his wife had real issues with Lorrie. Carson was Keith’s close friend and band leader for years(and also an amazing steel player). I was hoping 30 years passed would have healed those wounds. I really hope Keith gets inducted in HOF next year!!! It’s really fantastic that Kevin and Wesley are included. They both should’ve been stars. Keith one of the 3 greatest country singers who ever lived and he only released 5 country albums. His legacy deserves this tribute and more. Also great for Tom Buller who is one of the best country singers on the planet. Keith was my favorite singer from day 1. He always kept it real country. Sad day for country music when he died. “New” country is just an awkward imitation of him and those that came along before the turn of this century. Only a few exceptions. Keith left us way too soon. He had such a golden voice that was loved by all. If only he could have help, what a career he would have had . Just a few more comments. Keith passed away at the age of 34, not 33 like it is widely reported. Keith received in patient treatment for his alcoholism on at least four separate occasions. The last time was in the summer of 1986. He went out to the Hazeldon Foundation in Minnesota that summer(he recorded Tell Lorrie I Love Her the evening before he left). Hazeldon is widely regarded as the top treatment facility in the USA. Sadly, he was drunk when he got off the plane returning home to Nashville. Keith never seemed to engage or fully participate in any type of treatment program. I was fortunate enough to see Keith in concert on 7/14/88. He has been my favorite since that day. Please allow me to say it one more time, the greatest country singer of my generation. Whitley was 33–two months shy of 34–when he died. That’s per all available reports, per a Google search. If you have what you think is better information, you should post it to Wikipedia and let others respond. Friends of Keith Whitley is a Facebook site run by his sister in law Flora. Look at 8/14/18 post. Shows photo of Passport with 1954 date. All sites run by family and fan clubs list 1954 as official date. Statue in Sandy Hook and KY. Music HOF also have 1954 date. If you google, you can find several articles that explain the error. Wilkipedia is incorrect. Many of those same sites list his first name as Jesse. Feel free to contact that site or any other that is run by a real Keith Whitley fan to verify. That is the better information! OK, then someone should go on Wikipedia and correct it. I’ve done that a couple of times on Wikipedia. It’s actually easy. If it’s a controversial topic, it can get changed back. I’m not sure who decides. Eeriest thing is hearing Keith’s recording of “I’ve Done Everything Hank Did But Die,”–considering that he went and did that, too–in similar circumstances. The tickets for the show sold out so quickly. I wanted to see it so badly. Wish they had booked a bigger venue. I wish it was going to be all of Keith’s band backing the acts like the other commenter said. He was so special. There will never be another like him. Someone needs to produce a movie of his life. I can’t believe someone hasn’t already. Keith Whitley is one of the best country singers in my book . In I sure miss good country music like his and many other good country singers we have lost through the year’s .In they are proberly looking down from haven shaking there head’s saying what happend to country music ?Just today’s country music just isnt country any more i miss the real country music we use to have the kind that pulled at your heart strings . The kind you could relate to in life with things going on in your own life. Today’s country music sounds more like pop music not country music. I sure dont call it country music that’s for sure.